Z is for Zucchini - . We've started a little garden this spring. The first vegetable going in? The classic, prolific, and un-killable, zucchini. If you've done any gardening before, you already know how this will end. A tiny six-leaved sprout will soon become a green monster that takes over the whole yard. There will be dozens and dozens of zucchinis. We will make zucchini roasted, sauteed, grilled, and turn it into sweet bread. If you live in the neighborhood, go to school with Bob, are on one of his baseball teams, or deliver our mail, you will be gifted with a bag of zucchini. I may take a tip from my friend Nancy and leave the zucchinis on the passenger seats of cars whose doors are left unlocked in the parking lot. How do you know I am living on the edge? I planted two. Dayum. When I decluttered, I got rid of all 16 books of zucchini recipes. I have the best recipe for a bundt bread that's yours for the asking. If you stuff 'em, it's like there's no zucchini involved. Whee! I have been reading this blog for 9? Years. You still make my day. I'm that way with cucumbers. 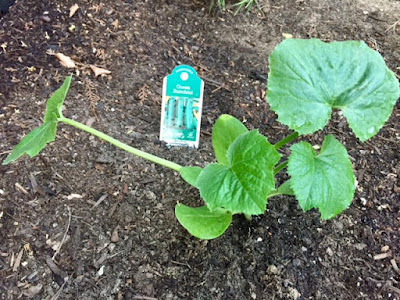 One tiny hill turns into gazillions of cukes. I make pickles to the point that I don't even eat them anymore, and gift friends and family with as many jars as I can. Last summer we carried them around in bags and handed them out to total strangers at the grocery store, ice cream stand, church, and even our local Ace Hardware. Planting zucchini could possibly send me over the edge. Step away from the squash! Run! I would also love that bundt recipe, but I'm hopeful. 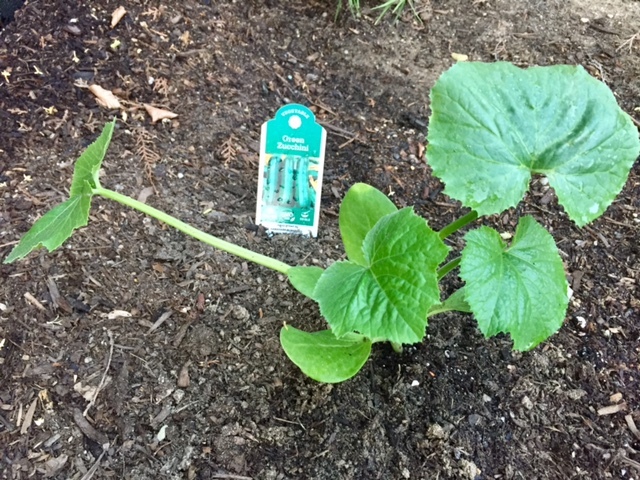 I have yet to have a successful zucchini or cucumber season here in New Orleans - if it's not the vine borers, it's the powdery mildew that gets 'em. But it's a new season, so here's hoping for enough zucchini to force upon people! Would very much dig that bundt zucchini bread/cake recipe. I thought I posted about it earlier, but must not have hit "publish" or something. Is it possible to get that recipe up here, Lisa? Thank you so much.